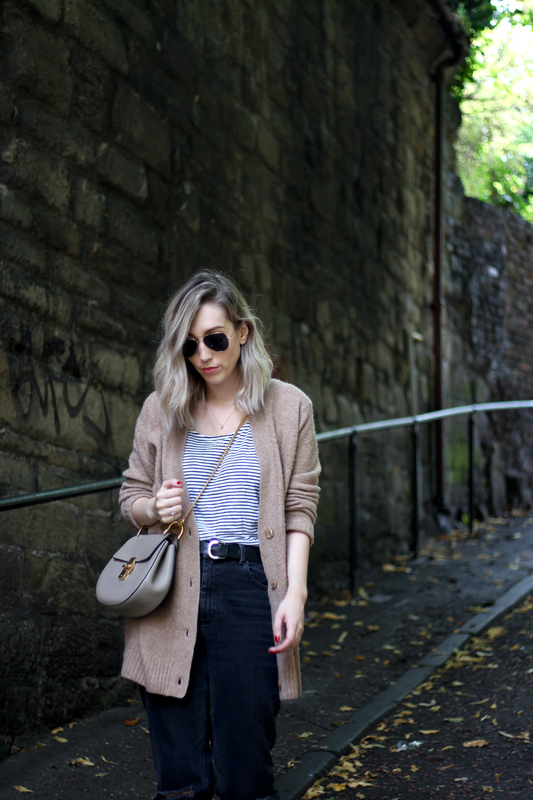 Sorry for reusing some old photos, but I deleted the original outfit post and didn't want them to just go to waste! Let's pretend it's Summer again yay. We're almost into 2018, can you believe it? This year has positively flown over and it's been a bit of a weird one, hasn't it... I'll not go into politics or world events, but it's been a whole load of fuckery something. I've been thinking a lot about my goals for next year and rather than setting an amount of weight to lose or follower numbers to gain, I'm just going to take steps to make my life a bit easier and happier on a daily basis, to be honest. This isn't going to be a rant on how life should be positive all of the time, because it's not and that would be highly unrealistic, but eliminating some toxic crap from your life and moving onwards and upwards isn't such a bad idea. Who's with me? If mental health is a big part of your focus for next year, then make sure you make note of how digital things make you feel. Unsubscribe from all of the newsletters you don't want to read and clear your junk mail. There's nothing worse than an overflowing inbox filled with stuff you don't actually care about - ensure it only contains things that are important or will inspire you. Unfollow everyone on Twitter, Instagram etc that makes you feel bad - and I mean continuously 'I wish I had her life' bad - as nothing good comes from it. If you're sick of abs and beaches or those people who are always at the centre of every drama, remove them from your life. Follow people you love or those who's photos or content makes you happy. You won't offend anyone by unfollowing and your own health is more important. Spend a little while looking at all of the things you have and establish what you really need. How long ago did you wear that top? Or those heels you can't walk in? Put everything in a bag and vow to sell, donate or throw them out if they're not in great condition. If you don't want to do a big clear out, just pick 10 items a month, or operate a one-in-one-out rule on everything you buy. If you can't donate things, then donate your time if you can. This could be as simple as lightening the load for someone else and helping them out with a task, or just doing something nice for someone else. Whether this is waking up (or going to bed) 10 minutes earlier, getting into a routine with cleaning your house or prepping your lunches on a Sunday - 2018 can be the year of good habits! Decide what small thing you want to include in your daily life and try to do it every single day for a month. By the end of this, it should be a habit and you'll do it automatically. Stop putting off tasks, if something takes less than ten minutes do it straight away, try not to go to bed with dishes to do and make your bed every morning. Little things can make a big difference. I got into this routine about two years ago and I swear it has mystical healing powers. Taking the time for yourself for five minutes at the end of every day is so important. Use a proper hot cloth, wash your problems away and treat your skin at the same time. This can also be extended to the shower, exfoliating and moisturising (even just once per week) and spending this time on yourself is my favourite ritual! I realised the other day that I can sometimes go an entire day without reading something on paper. I spend so long on a laptop or on my phone that actual written words aren't even factored into my day. In 2018 I am determined to get through the stack of books I have, continue writing to-do lists on paper as I have been doing this month and force my eyes away from a screen more often. I've been trying really hard to eat more vegetarian food and only cook veggie meals in the house, but it really does make a difference when you add more into your diet. Next year, focus on getting one extra portion a day. Buy some fruit with your lunch or swap a few meat-based meals for vegetarian ones and see if it improves anything for you. Oh and while you're at it, read my post on my favourite vegetarian meals! January is always a bit of a miserable month and, while we're waiting for Spring and lighter nights, it's nice to do one thing you enjoy. Whether you do something daily, weekly or monthly, just set aside some time to making yourself happy. It can be as simple as using a nice shower gel or your favourite perfume, to finishing a book, to cooking your favourite meal. You could ban all frivolous purchases and get yourself something you really want. You could just go for a nice walk or do 10 minutes of yoga (seriously, I know it's cliche, but it does absolute wonders for your brain and your body). Just do something nice and something that's just about (and for) you. Following along from the last point, pampering yourself can either be a full blown treatment extravaganza or doing something as simple as taking care of your nails. I'm vowing to keep getting my eyebrows waxed and tinted, as I absolutely love the effect it has on my perception of the way I look. I always do my own manicures, I don't get waxes (hey epilator) and I only get my hair done twice a year, so it's my one monthly indulgence. If you're not bothered about beauty things, then you can still pamper yourself in other ways. Do whatever makes you feel happier and more content with yourself. Sorting out your cash can be a bit of a daunting task and can seem quite overwhelming at first when you sit down and look at it all. Assess exactly how much you have coming in, what bills you have and what you spend on food, then decide what is actually disposable income. Think of the things you 'need' and 'want' and those things you can genuinely do without. You can make your own coffee and bring your own lunch and you probably already have that thing in your wardrobe. Try and sort out a saving plan at the start of the year (if you can) and stick to it. If you have some debts to clear off, set a date or an amount per month to pay off. You'll feel a million times better if you don't have things hanging over your head! I'm going to try to sell enough items to purchase something if I want it and it's a luxury, as the older I'm getting the more unnecessary it seems to buy when I don't wear 1/10th of my wardrobe! Additionally, I will only buy something if I can afford to either buy it once more (or at least half more) so I don't get tempted to throw it on credit. One thing that's often difficult to grasp is knowing when to stop and saying enough is enough. Whether this is with work, with people, with watching tv or being online, quitting seems to be something a lot of people refuse to do. I am a big fan of taking time off, even if it's just an hour a night away from my phone. We see so many bad and depressing things, sometimes before we even get out of bed, and despite what resilience (or ignorance) you think you have to it all, it will have some sort of effect. I'm not saying be oblivious to the world's problems, but taking yourself away from it every now and again might be worth trying. Quitting doesn't always mean giving up all together, too. If something isn't working or it's making you miserable, then try a different angle or talk to something about it. You can always change what you're doing at any time of your life!